Moving from the “sage on the stage” to the “guide on the side” is a large, and at times uncomfortable, proposition. I don’t think any teacher would argue, however, that the best learning takes place when students are at the center of the classroom taking an active, rather than a passive, role. So how can a teacher begin the process of creating a student-centered classroom? I would propose that the first shift happens within. It is about being curious and maintaining a sense of wonder as an educator. It is about asking questions when one does not already know the answer (as teachers so often do- myself included). So many times in a classroom conversation, the teacher already knows what the “outcome” of every question “needs” to be. When a student gives an “incorrect” answer, it is not explored. When a student pauses to think, the teacher often fills in the holes. Silence is uncomfortable. Ambiguity is confusing- to everyone. Not just in classrooms, but in life. I am proposing a shift, however. What would happen if every time a student gave an unexpected or interesting answer (or even any answer at all) they were asked the question, “What makes you say that?” and someone really listened to and cared about the answer? Not because he or she wanted to see how it was wrong, but because they were curious and wondered what was happening in the mind of that student. What would happen if everyone became a little more comfortable with silence? 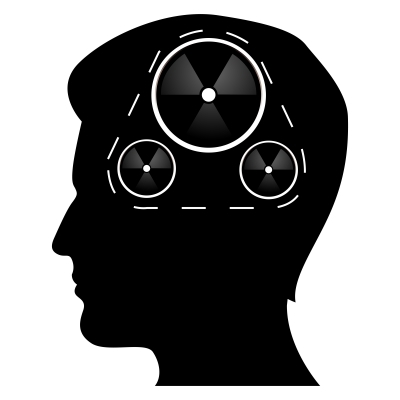 How much knowledge could be gained about the ways students think? About new perspectives? How much more valued might students feel? Note: “What makes you say that?” is a primary focus of Harvard Project Zero’s Visible Thinking research. Close Reading and “Gist” Statements: What’s Important Here? Giving the “gist” of complicated matters is not always easy. I worked with Jillian Walters this week to do a close reading on an article about Treacher Collins Syndrome to provide a context for students to better understand the character of Auggie in the book Wonder which students are reading for their English classes. The article dealt with scientific information about the disease including its symptoms, causes and treatments, and the first stage of the reading consisted of the “gist” statement. To begin, we had students highlight the “important things” in the text before working in pairs to write a statement together. This lead to a conversation with students about how to choose what is important from the text. Walters asked students to share how they decided what to highlight and made this list on the board. We also discussed text features that might have led students to recognize important elements (such as titles and bulleted lists). 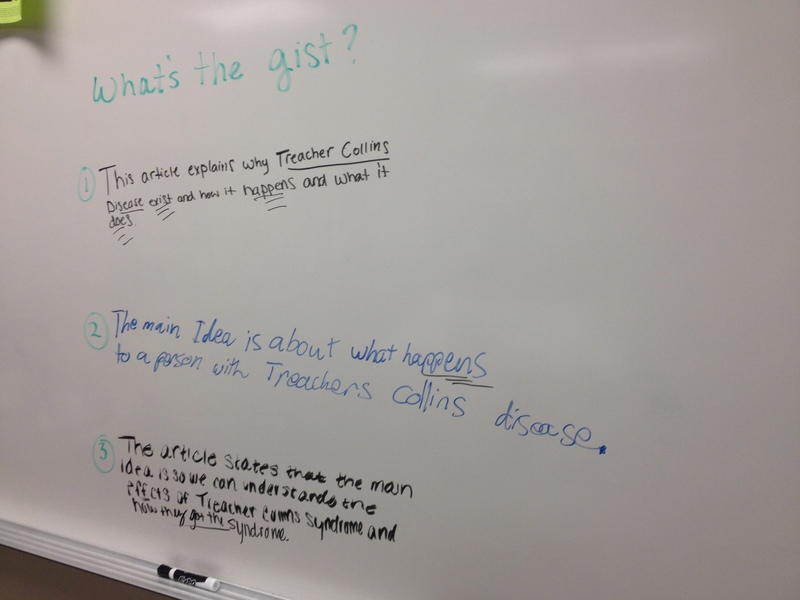 Students then came and wrote their “gist” sentences on the board. The end goal in doing this was to look at the commonalities and differences. In the other classes, we used these to build a common “gist statement” together based on evidence in some of the text features. This entire process and the reading took about thirty minutes. We had yet to even begin the vocabulary and question readings. This brings me to a point about close reading: it takes time. However, the long-term benefits in thinking are worth it. Students learn comprehension skills, determine how to make meaning from complicated texts, examine vocabulary in context and answer worthwhile questions. Exposition, rising action, climax, resolution; students have probably studied these narrative elements since elementary school. However, Melissa Larisch found a resource published by a William Kenower about the use of the emotional and intentional arc. While this idea was originally intended to explain what author’s should do when writing narrative, some teachers at North (including Sam Bosse) have been using it analyze literature, providing a deeper focus for understanding the nuances of the narrative structure. As teachers used them, the narrative arc describes the physical action of the piece, the emotional arc describes the emotional development of each of the characters (there may be multiple of these), and the intentional arc describes how the author relays their “deeper purpose” or theme to the audience. Bosse and I also discussed the possibility of an “arc” for the reader’s response that could be added to this. 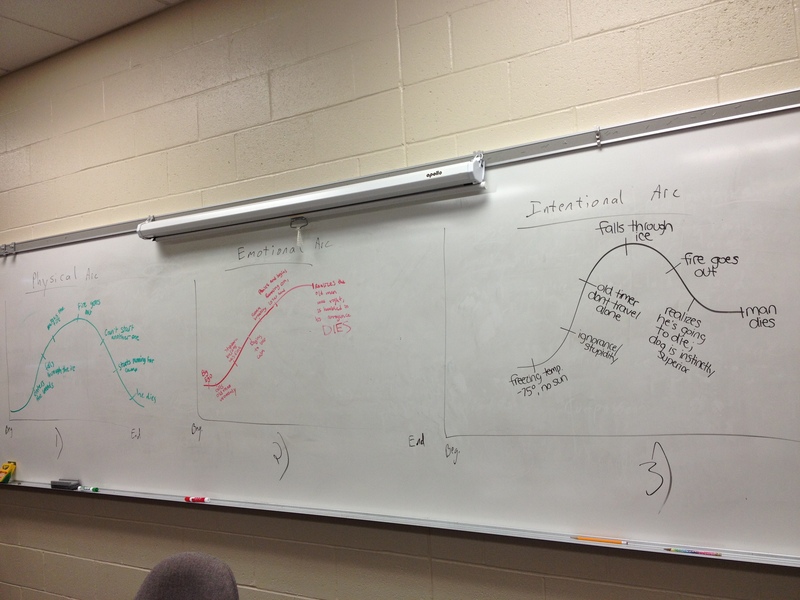 In his classroom, groups of students were given one of the three arcs to map out for “To Build a Fire” and put up on the board for comparison and (see below). These arcs might allow students to “dig deeper” into the text and examine how these different narrative elements interact with one another. In addition, in accordance with CCS, a teacher might ask student to create arcs for multiple themes and see where and how the themes interact with one another. I am excited to use this analysis tool in other teachers’ classrooms and explore it further. Here is a link where you can download a file on the different types of narrative arcs mentioned. When one thinks of creative writing, he or she might imagine it as a “right-brained” activity with little room for the analytical aspect of the mind. While this is sometimes the dominating perception, it is far from the reality. To expose students to the true nature of the professional writer’s craft, there will almost always be some discussion of how “left-brained” activities, like research, come into play. 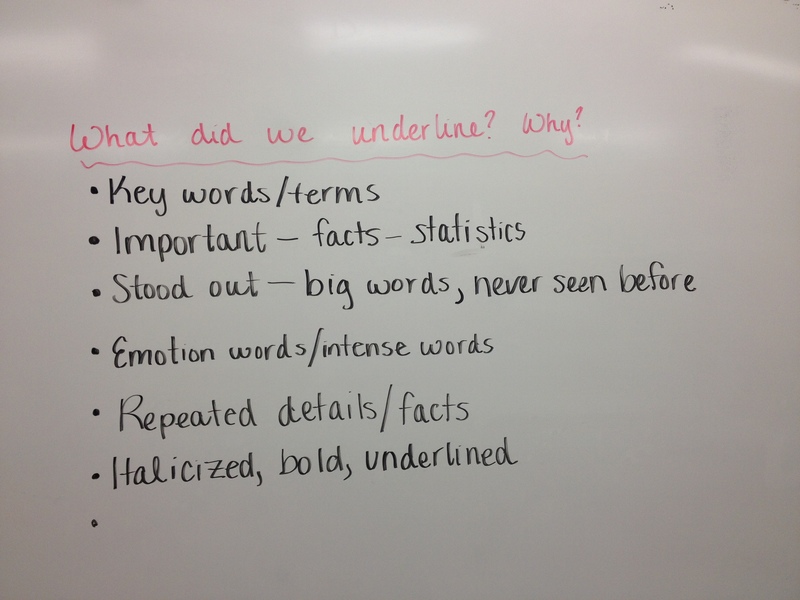 I watched Carrie Eneix’s class have a discussion over The Secret Life of Bees a few weeks ago, and we planned a unit of study that began with students being exposed to the type of research Sue Monk Kidd did for the book and analyzing examples from the text. It was inspired by the following quote by Kidd describing how she went from knowing “not much at all” about bees to writing a book where they are a primary focus. 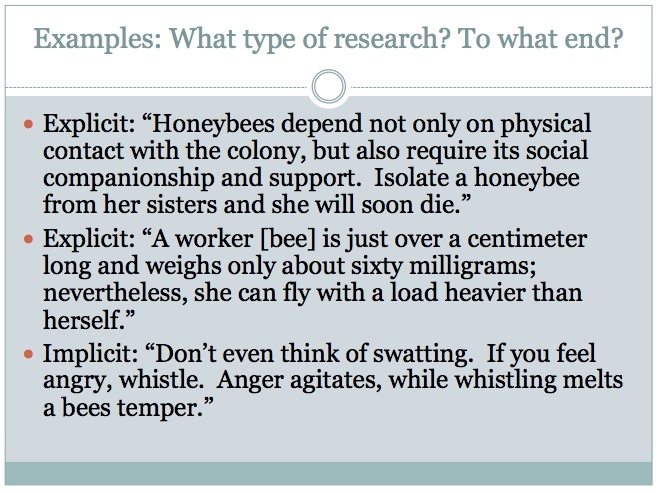 Taken from “A Conversation with Sue Monk Kidd” in the introductory materials for The Secret Life of Bees. I understand how authors’ use short and sustained periods of research for a variety of purposes. 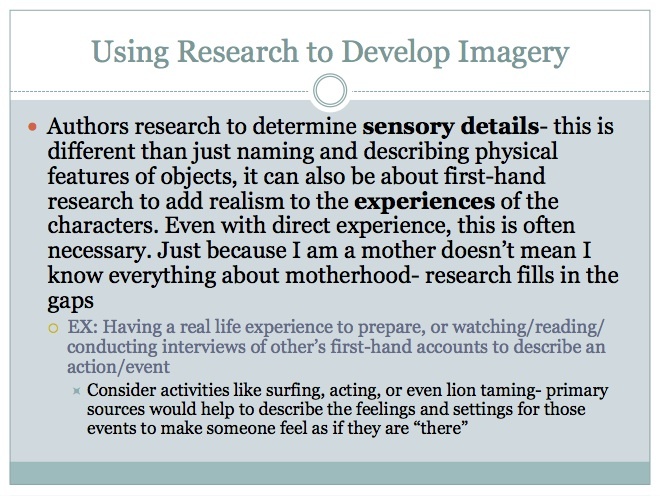 I can identify the types of purposes (to add specificity, develop metaphors, and enhance imagery) for which an author might use research. 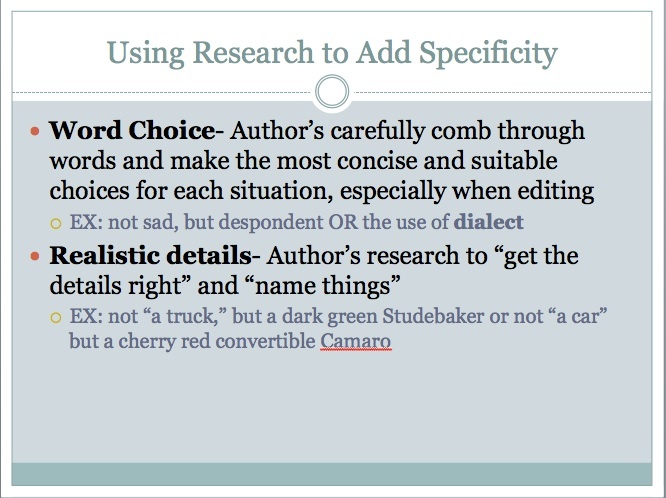 I can utilize purposeful research in a variety of mediums to meet specific purposes in my own writing. The first two were targets of the specific lesson for the first day, and the third was a long-term goal by the end of the project. What research might Sue Monk Kidd have done to gather the information (book, video, primary source etc.)? 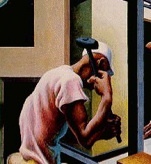 For what purpose (to add specificity, develop metaphor or enhance imagery)? Students wrote from where the research might have come and to what end it was used, and we discussed each one. This entire concept is new to most students, and there was no definitive answer, so this was something with which they struggled. However, they were provided with other models and examples later in the unit which I will talk about in an additional post. A short narrative (250 words or less) or poem (approximately 25-50 lines) that focuses on a “self-selected” community that becomes a “family” or provides a sense of belonging to its members to positive or negative ends. This is not a personal narrative, so choose one that will provide a venue for research. Examples/possible options: a tribe (at any point in history), gangs, immigrant communities, fraternal orders (Freemasons for example), religious communities (such as Amish or Mennonite), communes, cults etc. A short narrative (250 words or less) or a poem (approximately 25-50 lines) that is based upon an insect/animal as a metaphor for some larger idea and is built on the real-world aspects of that creature to develop the metaphor. Ultimately, students would be presenting these pieces of writing to the class. More to come on this later. 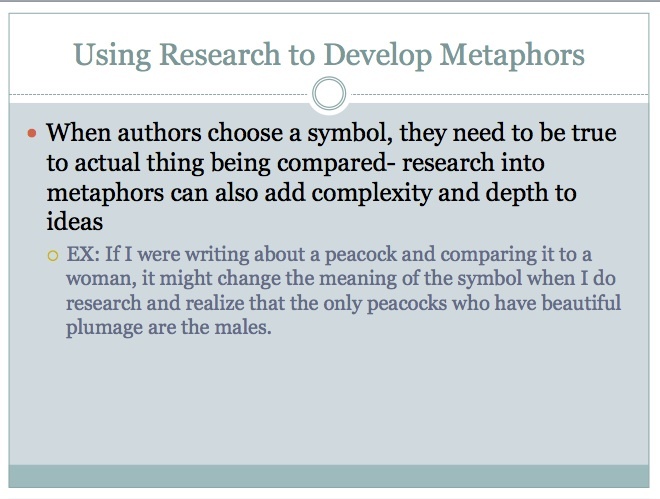 Students can most times identify figurative language in someone’s writing, and they can often state what is being compared and described; however, they sometimes struggle with the question of why and how authors make specific choices about the language they use. 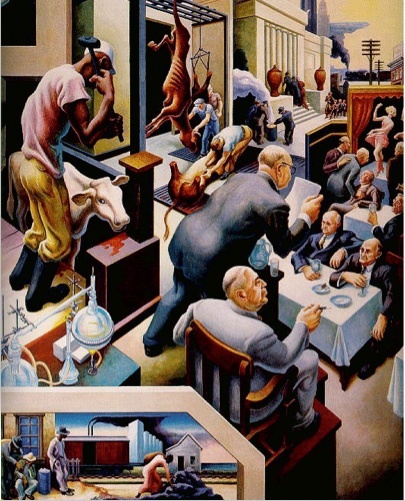 I understand how writers use figurative language and imagery to relay an underlying theme or a tone and what effect these tools have on the overall piece and the reader. 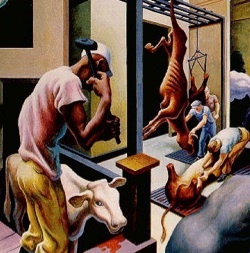 I can use concrete details to represent an abstract idea. I can choose important details and appropriate metaphors to enhance the development of tone and theme in my own writing. 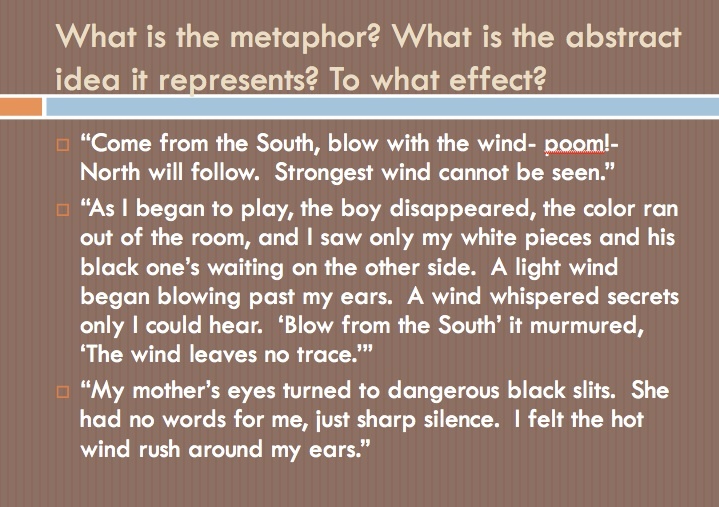 To this end, we compared how the same metaphor was used in different contexts for different purposes. The second reason for the lesson was the desire of both teachers to enhance their students’ ability to make thoughtful language choices in their own writing using Amy Tan as a model. For this second goal, we began by brainstorming “abstractions” together. Then, students were given a random object on a card and asked to use descriptive and figurative language to make that object represent the abstraction. Before students began, the teacher modeled the writing by creating one together in class with students. 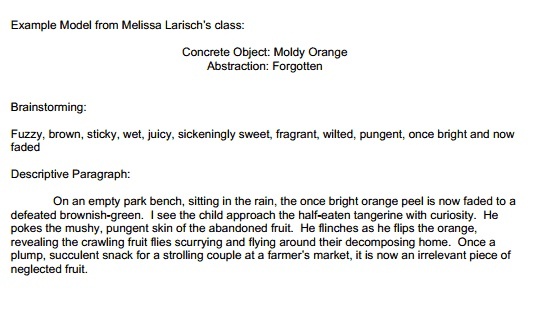 The object for the example is a moldy orange, and the abstraction it represents is “forgotten” or “forlorn.” The class brainstormed descriptive language to use in the paragraph and then thought through the process together to do the actual writing while the teacher prompted them with questions (see resources for examples) and typed the piece. This part of the process can be a little “messy” because it is impromptu; the teacher is as surprised as the students about what develops. However, this also allows students to see the thinking process behind the writing, especially as the teacher reads the work aloud and revises it with students. Both teachers continued the lesson the next day in interesting ways. Larisch had her students share their writing aloud to a partner and had the partner guess the abstraction it represented. She told them if they could guess it or get close, they had done a good job. If not, they needed to revise. Bosse had his students post the pieces of writing on Edmodo (more to come about the later) and respond to one another via posts. His students also had to guess the abstraction represented in the writing. Larisch reported that her students were eager to share their writing with one another, and they willingly read aloud to the class after the lesson. This resource provides some “prompting questions for teachers while modeling this type of writing: Prompting Questions for Teachers: Creative Writing. Leslie and I worked together on the “Zoom In” strategy using the same content and goals as I had used with Laura Laborde. However, I have streamlined the process, and I think it works a little better as listed here. In addition, I tried using the same image and “zooming in” on another part. The strategy seemed to flow better with the image this way. 2. 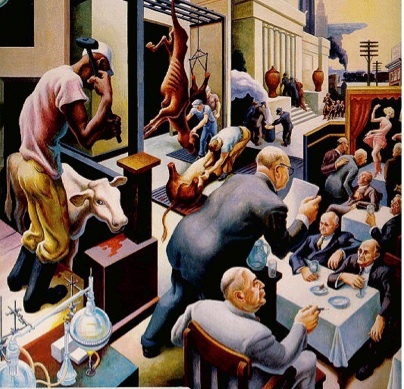 Have students get out a piece of paper and put up the first Power Point slide for the image. Looking closely and carefully at texts- individual words, phrases, sentences. Looking at chunks of the text and forming a flexible hypothesis as one is reading. Stopping to ask meaningful questions and seeking to answer them as one is reading. A couple of notes about this. I am learning that the 3-2-1 strategy is a difficult concept for students to grasp and needs to be explicitly taught, discussed and practiced to be effective as a measurement of students thinking. I think this is ok, but time is needed the first time it is introduced in order for students to understand the concept and expectations. I would be interested to see how it works once students have had this experience. Previously mentioned, Susan Turley gave a diagnostic assignment in which students were asked to present about a theme in Lord of the Flies in small groups. These presentations were to gauge students current levels in a variety of areas including: writing, speaking and listening and analysis of literary and non-fiction texts. Ultimately, Susan asked the group what grade they would give themselves on the project for the final outcome, stressing the fact that this information was to explore their own reflection and not utilized by her to determine a final grade.